On Average, Medium Delivers 22% Lift In Customer Visits To Brick-&-Mortar Locations. The following is the Executive Summary of a report this fall between The Radio Advertising Bureau (RAB) and TagStation’s Dial Report. As a truly mobile medium, radio is the medium closest to purchase. So, when a consumer hears a radio commercial, are they more inclined to visit the advertiser they heard? Does exposure to the radio commercial on certain days of the week have a greater influence on when they visit? Can radio advertising be attributed to a lift in store/location traffic? 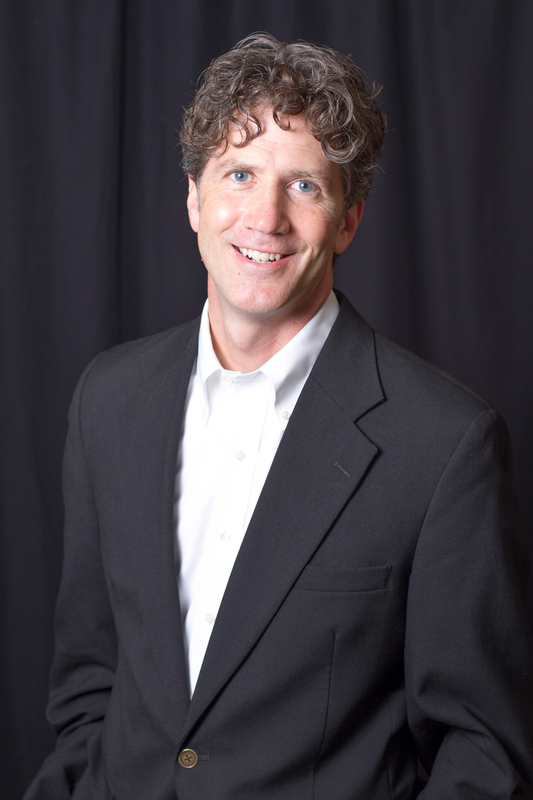 The shift towards data-driven advertising, within radio and across channels, has prompted advertisers to demand access to campaign performance data – data that broadcast radio has been challenged with. Advertisers need access to data for all mediums to get greater clarity on how much each channel contributes to overall campaign goals and objectives in turn optimizing media spend. For each of the 10 brands, Store Traffic data was matched to listeners on stations to which the spots played. Average retail visits were calculated for those exposed to the spots and for a control group of unexposed visitors listening within the same timeframe. The percentage change in average retail visits between the exposed group and the unexposed group was calculated – giving us Store Traffic Lift. Findings are based upon an analysis of over 1.5 million radio spot plays across 10 different brands and 4 categories. process ensures the accurate delivery of FM + streaming radio programming and advertising content through the NextRadio app. For each of the 10 brands, store traffic data was matched to listeners on stations where the spots played. Then we calculate the percentage change in average retail visits between the exposed group and the unexposed group – giving us Store Traffic Lift. As noted in Image B, store traffic lift varied significantly by category and by brand within category. Across categories, lift varied anywhere from 4% for Home Improvement to 45% for Automotive. Format Exposure Performance: We analyzed 23 different formats across the 10 brands and highlighted the 7 which were most encompassing of all the brands. Radio’s ability to drive store traffic is highly influenced by accurate audience targeting within format, station, daypart and day of week. Every brand and category is different. Audience targeting within these segments is highly dependent on each brand’s demographic goals and campaign objectives. 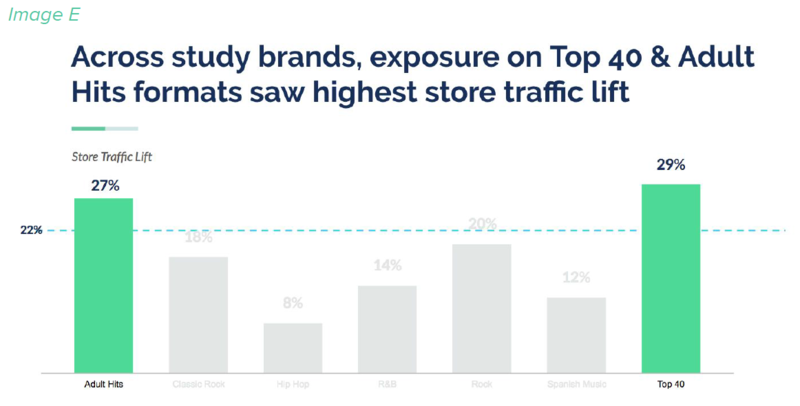 Through this study, we were able to show that lift in store traffic among those exposed to a brand’s spots were significantly higher than those who were not exposed. Therefore, radio does drive store traffic. 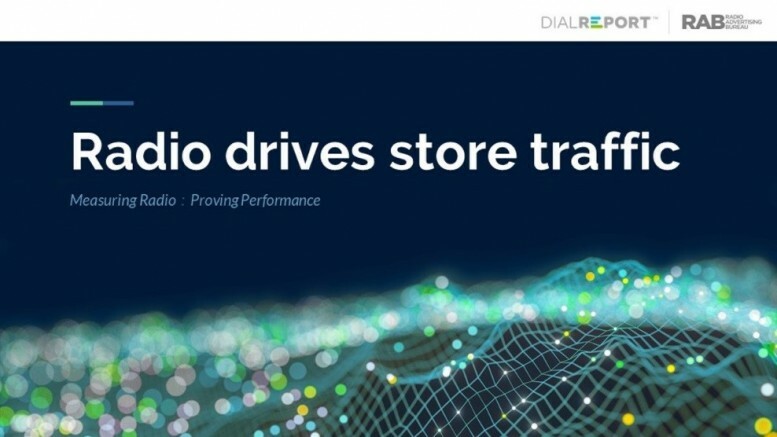 Be the first to comment on "Radio Drives Store Traffic"